We believe passionately about creating a culture where people can grow, collaborate, share, laugh and be proud of everything they do. Our values are a look into our DNA. We value honesty and transparency and constantly work to be reliable, genuine & consistent. Whilst we’re confident in our abilities we won’t over promise. When things go wrong we own our decisions and learn from our mistakes. By sticking to the things we believe in, we do great work that does good. We stay hungry, always learning with a strong commitment to continually improving relationships, skills, processes and everything we do. Today’s work is better than yesterdays and tomorrows will be better still. We innovate, iterate, think big but start small and fully embracing the challenge. Our approach is human focused and we put people at the centre of everything we do. We create things that are both a delight to use and beautiful to look at. We ask questions, research and are led by data, holding our opinions lightly always focused on solving the right problem at the right time. Design is everyone’s responsibility. Because we love our craft we build things that last, that are adaptable and add real value – something to take real pride in. We sweat the details and own our output’s quality as a team. We aim to make our future selves thankful of the choices we make today. Nothing we do is done in a vacuum, we have no heroes or divas! We show mutual respect and seek to be convinced of others opinions, whilst championing our own. We see our clients as partners and want to build relationships with them. We share what we know and encourage others around us to learn and grow. We love what we do and more often than not, it doesn’t feel like work. Digital, design & technology are part of our DNA. We’re inquisitive by nature, keeping up to date with the cutting edge and take ownership of our personal development. We’re willing to question the status quo, to get stuck in and be involved. 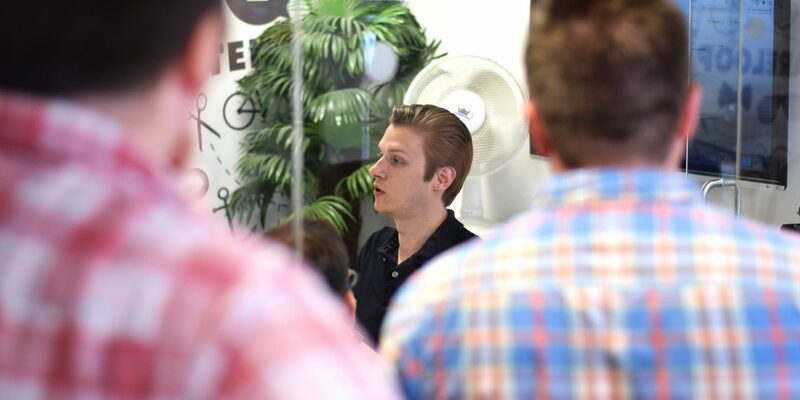 We run events, regularly share what we know through talks and mentoring and contribute to Open Source code and tools. We’re also aware of our privilege and mindful of people less fortunate than ourselves and strongly believe in doing what we can to help, both financially and with our time. We’re committed to stand up, take responsibility and make a difference. Work is only one piece of the puzzle. As a team we enjoy a broad range of interests and encourage personal growth alongside career progression. We highly value the importance of relationships and family time. We expect people to work hard, play hard and make time to rest. We’re mindful of our physical & mental well-being so we avoid burnout.